Pressure: Up to 1700 mm Of W.g. Since our origin, we have become the famous company of a highly efficient Forward Curved Single Inlet Blower. For more information of Single Inlet Blower , attached a pdf. These SISW blowers are used in various applications covering dust extraction / fume extraction and are widely used in cyclone separators, bag house dust collectors, both inlet and outlet are flanged to receive duct connections. 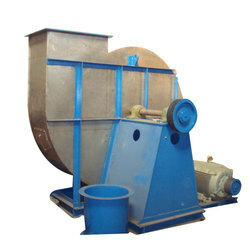 We bring forth the best range of Cold Coil Single Inlet Centrifugal Blower for valued customers. Products that we offer are manufactured using the high-grade basic material in line with the clients’ requirements. These products are provided with scroll housing which is open on one side. Capitalizing on the ability of our skilled personnel, we are keenly instrumental in delivering a comprehensive array of Single Inlet Blowers. - Application: These fans are ideal for variable air volume system. Fans are of rugged welded construction with over-sized shafts & bearings to assure long life. "Single inlet centrifugal blowers" refers to blowers with a spiral housing that is open on one side. The characteristic features of this product series are high efficiency, a low noise level, relatively small air flow with a high increase in static pressure, robust design and space-saving application. 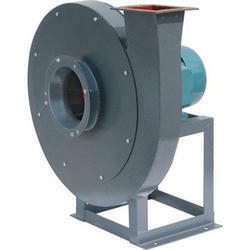 We are the largest manufacturer and supplier of wide range of Single Inlet Blowers that are widely renowned for wide application in several small and large scale industries, These are widely used in several small scale and large scale industries for regulating the ventilation.Heavy Duty Industrial Fans is a type of Single Inlet Single Width(S.I.S.W) Blowers. Outstanding features of centrifugal fans with forward-curved blades include their very low noise level and high power density. They are used wherever a large air volume has to be moved in a tight space. Depending on aerodynamic and geometric requirements, the impellers are arranged in single-inlet or dual-inlet configurations.